Whatever you're struggling with, you're not alone: there's a saint who is not only praying for you before the throne of God, but who went through the same thing you're going through. Fr. Joseph Esper introduces you to over 350 saints who suffered in ways that you and I suffer every day, and who will bring you, too, to peace! Fr. 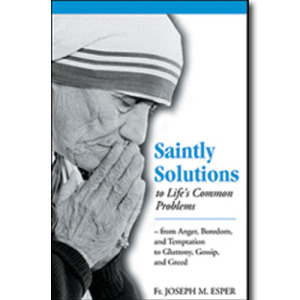 Esper considers over forty of life's common problems, showing how saints overcame these challenges and difficulties, and even grew holier as they did so.